Atlas Foundation – Robert Mann, Jr.
A journalist and political historian, Robert Mann holds the Manship Chair at the Manship School of Mass Communication at Louisiana State University. From 2011-12, he was director of the school’s Reilly Center for Media & Public Affairs. He is the author of critically acclaimed political histories of the U.S. civil rights movement, the Vietnam War and American wartime dissent. One of his recent books, Daisy Petals and Mushroom Clouds: LBJ, Barry Goldwater and the Ad that Changed American Politics, was named by the Washington Post as one of the best political books of 2011. He is a weekly political columnist for the New Orleans Times-Picayune | NOLA.com. Mann’s essays and reviews have appeared in numerous publications, including the New York Times, the Boston Globe, Politico, Salon, and Smithsonian. He has discussed his research and appeared as a political analyst on numerous national television and radio programs, including MSNBC, CBS News, ABC News and National Public Radio. During the 2012 elections, he was a frequent commentator on MSNBC’s “Jansing & Company,” where he offered analysis of political advertising. Mann teaches courses in political communication and is currently researching the history of U.S. war propaganda. 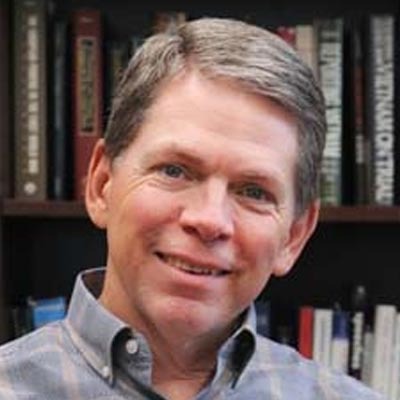 He is also editor of the Media & Public Affairs book series, published jointly by the Manship School and LSU Press. Prior to joining the LSU faculty in 2006, Mann spent more than 20 years in the political arena, working for three United States senators and a Louisiana governor. He was communications director to Louisiana Governor Kathleen Blanco, prior to serving 19 years as a U.S. Senate aide. He was state director to U.S. Senator John Breaux of Louisiana, and served as Breaux’s press secretary. He also served as press secretary to U.S. Senator Russell Long of Louisiana. He was also press secretary for the 1990 re-election campaign of U.S. Senator J. Bennett Johnston of Louisiana, the 1992 and 1998 Breaux re-election campaigns and the 2003 Blanco campaign. In 2014, Mann was inducted into the Louisiana Political Hall of Fame. In the early 1980s, Mann covered Louisiana politics as a reporter for the Shreveport JournalHehHeHehhhh and the Monroe News-Star. Working Congress: A Guide for Senators, Representatives and Citizens (ed., LSU Press, 2014).